This walnut dining table was built to suggest the Donghia style which was so popular on the West coast throughout the 80’s. 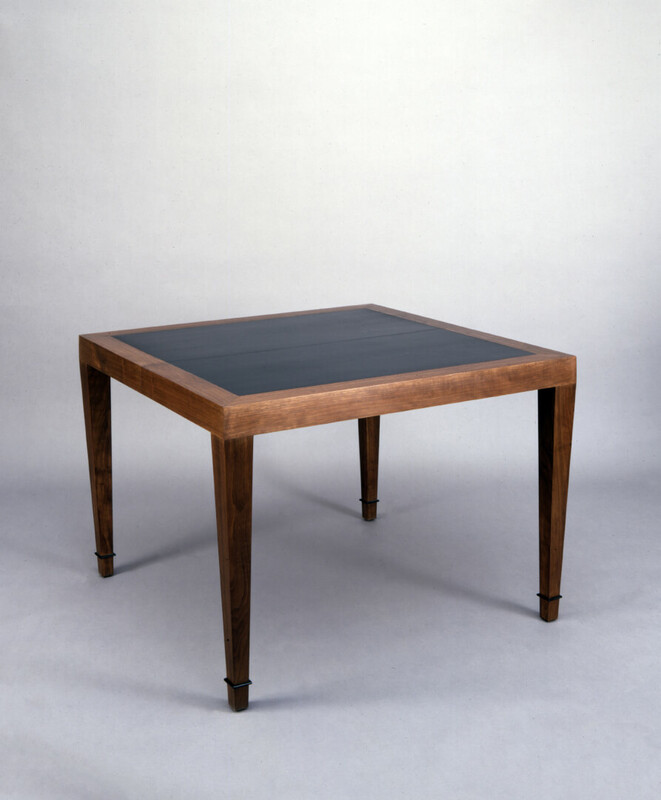 The center field and lower leg detail are ebonized mahogany, the top surround and legs solid walnut. 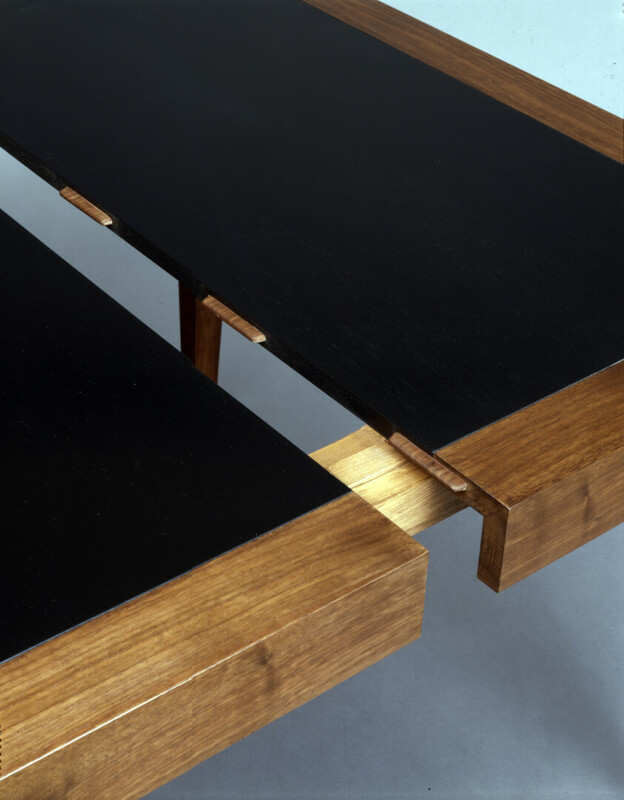 The full-extension table slides allow the top to open to accept two 18″ leaves. The top alignment is accomplished with 2 1/2″ wide tapered walnut splines (end grain mortising into the mating half), that level the top in the closed position.